Collection agencies are using severe methods to go after debtors. They're going through the courts to collect. The choices are show up, pay up — or get locked up. First, the collection agency files a lawsuit against the debtor. (The agency should send the debtor an official notification in the mail.) If the debtor doesn't appear at the hearing, the judge can vote in favor of the collection agency (called a default judgment) then schedule another hearing to review the debtor's assets. If the debtor doesn't appear at this hearing, the judge can declare that the debtor is in contempt of court and issue a warrant for his/her arrest. 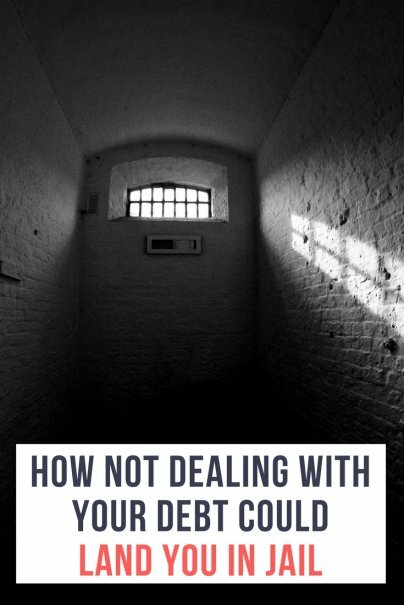 Not only will the debtor have pay what is owed, but also court fines and, in some cases, bail money. Federal law abolished debtor's prison in 1833. However, this scenario has been appearing with increasing regularity in Minnesota, Wisconsin, New Jersey, Arkansas, Indiana, Illinois and Washington. According to the Minneapolis-St. Paul Star Tribune, in 2009, there were 845 cases of debtors being sent to prison in Minnesota. When your account is months past due, your original creditor will usually sell your account to a third-party collection agency for pennies on the dollar (that way they get something for your loan balance). Then, of course, the collection agency wants to make a profit, so they start calling and sending threatening letters to scare the money out of you. If you contact the agency in writing that you want them to stop calling, by law, they should stop. However, if you don't respond they might decide to take you to court. In that case they should send you an official notice of a court hearing with a date so that you can attend and defend yourself. The notice should also have the official court address on the envelope, but sometimes (wrongly) the agency will send an "unofficial" letter giving you notice. Don't put your mail in a big pile or in a brown bag and assume it will go away. Open and read everything; if there is a collection notice, you will know. Keep track of your outstanding loans. Look at your statements and keep a file. If you are having trouble making timely payments, contact the creditor and let them know. Some creditors will offer a reduced payment/lower interest program. In the case of medical debt, most doctors and hospitals don't charge interest and will usually agree to a payment plan. Checking your credit report every four to six months will show you where you stand with your debt and debt payments. (Go to AnnualCreditReport.com. )You can see if an account is so delinquent that it has been sold to a collection agency. It will appear above the Account History section under Collections. You need to appear in front of the judge to plead your case. If you don't show, then the judge will only hear the collection agency's version of the situation. When there are extenuating circumstances, you can ask the judge for special consideration and work out a compromise payment plan. Also, if you're experiencing financial hardship, bring a financial statement detailing your assets and liabilities and a cash-flow statement with your income and essential expenses. When you're in court pleading your case, ask the collection agency to show proof of your original debt. In some cases, your account has changed hands several times and the collection agency has no written legal evidence of the original loan. That may win your case right there. Many people are struggling with debt, and collection agencies are getting more aggressive in coming after delinquent accounts. Even if your accounts are in collection, you do have rights. (Go to FTC.gov for more information on the Fair Debt Collection Practices Act or read a previous Wise Bread article on the FDCPA.) Be aware of the potential consequences of ignoring your debts, and be pro-active if you're summoned to court. Otherwise, you might be taking an expensive ride in a paddy wagon to the Big House. Good advice. I have volunteered at a consumer assistance center and it is flooded with people who come in with pending lawsuits for debts that are not even theirs. The paperwork is so bad sometimes. Some have said that because it's not their debt they didn't think they needed to go to court - what's the worst that can happen. Well, once there is a judgement against you it's yours until it is not (before then, the company has to prove it's yours). So definitely take it seriously. I agree you must definitely read all your mail, know what is going on with your debt, and if you choose not to pay or are unable to pay you cannot allow yourself to go into denial about it. That said- saying that you can go to jail because of your unpaid debt is a bit of a fear tactic. You are going to jail for contempt of court. You most certainly won't go to jail because of unpaid debt. You must however be responsible and at the very least contact your creditor before it goes to a third party collections agency to see what kind of arrangements can be made. Also it's good to keep in mind that most companies will not fork out the legal expenses unless you owe a large amount of money and have assets to pursue- such as property that a lien can be placed on. What starts out as a small debt, if unpaid or ignored, can become a large debt with accrual of interest and penalties. The point of the article is to make people aware of the court process and possible serious consequences if they aren't on top of their finances and pro-active about finding a solution. As a credit counselor, I can't tell you how many times a client said they just put their unopened bills in a box in the closet because they were too afraid to see what was in them. That included letters from the collection agency and courts. can collection agencies garnish your wages?